Awards season is starting as the major year-end awards begin to release ceremony details! 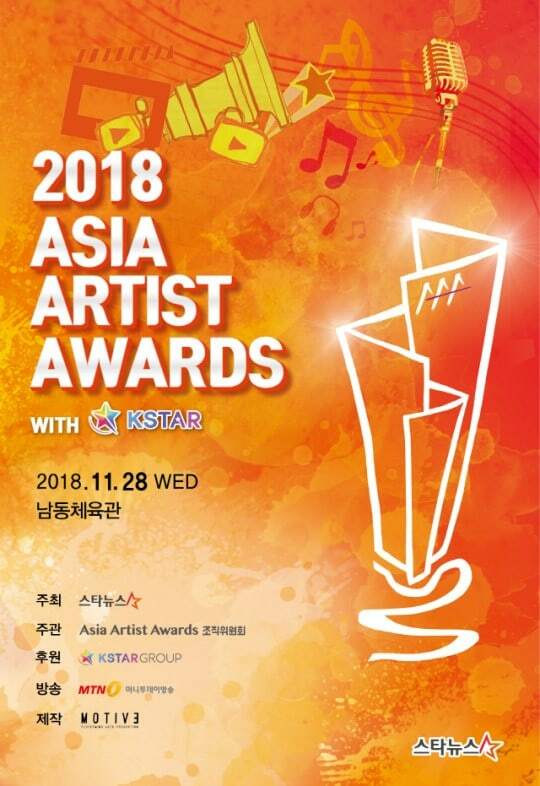 2018 Asia Artist Awards (AAA) have officially announced that the ceremony will be held on November 28th at the Namdong Gymnasium in Incheon. The awards nominees are selected based on information collected from fans worldwide. Also, AAA winners will be based on a fair system to recognize actors and singers who have done exceptionally well in the past year. Also, this year’s AAA will be using “Face Tickets” via facial recognition software instead of physical tickets. To do this, 2018 AAA is teaming up with blockchain technology company KSTAR Group. Chairman of KSTAR Group, Kim Hyo-jin said that working with 2018 AAA will bring the ceremony back bigger than before. MC details and the artist lineup has not been released yet, so stay tuned for more information. Are you excited for awards season to begin? Let us know in the comments who you’d vote for! Meanwhile, here are some performances from last year’s AAA! Officially Kmusic will keep you updated with the latest news!